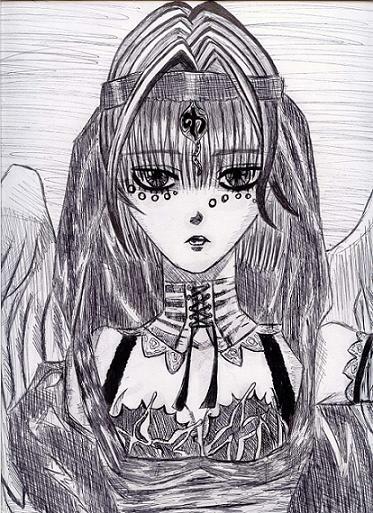 Done in pen and pencil, finished 11/05/2005. Really really good, n1 all the way! Incredibly detailed artwork! Brilliant as usual, lanfear! first real try at pen ? hey that's really good lanfear! O_______________________O WHOA!! That pic is AMASING!! The Shading... holy shoot!! Its beautiful!!!!!!!! xD And I love the outfit! !